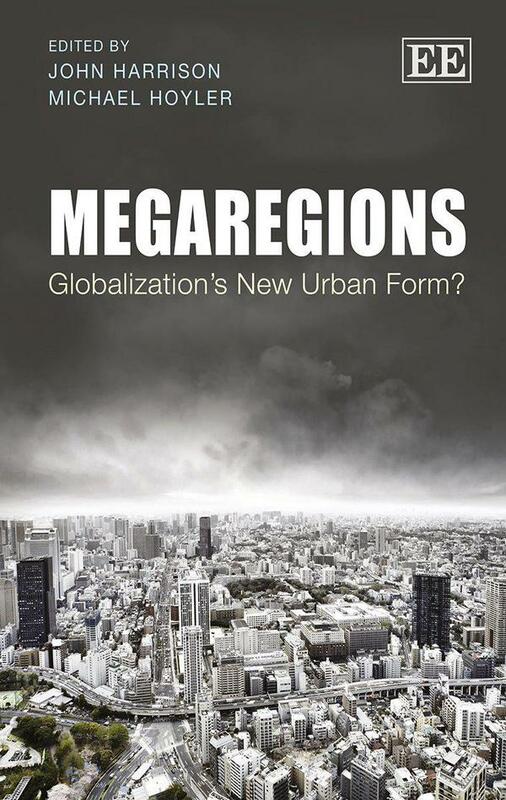 Megaregions: Globalization’s New Urban Form? I just received in the mail my copy of Megaregions: Globalization’s New Urban Form?, edited by John Harrison and Michael Hoyler (2015, Edward Elgar). This book emerged out of a set of paper sessions John and Michael organized at the 2013 AAG, and I am honoured to have a chapter in the book, titled “Megaregions and the urban question: The new strategic terrain for US competitiveness”. In this chapter I critically reconstruct contemporary planning and policy discourses about megaregions in light of 1960s debates over the “urban question” and megalopolis, and in light of my current research on competitive multi-city regionalism in the US. By critically assessing the opportunities and challenges posed by planning and governing at the megaregional scale, this innovative book examines the latest conceptualizations of trans-metropolitan landscapes. In doing so, it seeks to uncover whether megaregions are a meaningful new spatial framework for the analysis of cities in globalization. Situated within the broader contours of global urban analysis, the book draws together a range of thought-provoking contributions from scholars engaged in the study of trans-metropolitan regions. It thereby provides multiple paths of access for those wishing to familiarize themselves with this topical area of global urban studies. The whole book is highly recommended.